The Alaska Department of Fish and Game is asking hunters to avoid harvesting moose wearing radio collars in Game Unit 18 along the Yukon River. The department is conducting a study of moose in the area, and biologists will be tranquilizing a portion of the animals to attach tracking collars. The sedatives used to immobilize the moose may remain in the meat for up to 30 days, and that meat should not be consumed. According to a press release, the study is part of a three-year research project to “improve area moose management by better understanding how moose populations impact and interact with their habitat.” The study will occur downstream of Mountain Village, and also between Marshall and Russian Mission. 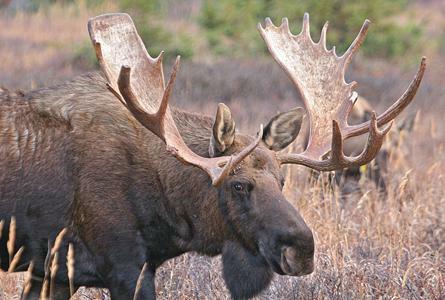 Hunters who harvest a collared moose or a moose with an ear-tag are asked to notify ADF&G. The hunting season ends April 30, 2019.